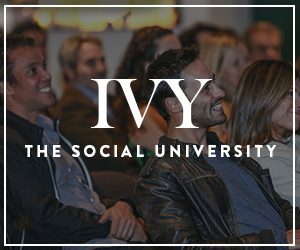 At this IVY Ideas Night, members gathered with Emily Chang, a Harvard University graduate and five time regional Emmy award winning journalist. Chang discusses her new book, Brotopia which was published earlier this year. As a critically acclaimed exposé, it reveals Silicon Valley’s sexist, aggressive, and misogynistic culture where women are vastly outnumbered and face toxic workplaces full of discrimination and sexual harassment. For Chang, the only way to fix this toxic culture? To finally bring down this Brotopia. This IVY Ideas Night is presented by smartwater®.